How to get your wife back? An expert tells you 10 rules! How to get your wife back? An expert tells you the rules! How to get your wife back ? How to make your wife love you again? The feeling of losing someone you love is always difficult to bear, but it can be utterly and totally overwhelming if you were once married to this person. All those shared memories and experiences can keep flashing in your mind; and many people don’t know where to turn to for support and guidance to save marriage. If you are still looking for it or wondering how to make my wife love me again you have come to the right place. We are a dedicated team of relationship experts with over 10,000 combined hours spent helping people just like you to get back with their significant other. In fact if you are serious about doing everything possible to make it work with your wife I would highly recommend that you consider private coaching sessions so that we can create the perfect road map for you and for what you are going through right now! It would be my pleasure to help… You can also find my 2 hour long self help audio program How To Get Her Back by clicking here. I know how rough you are feeling right now, but I assure that you can make things right if you have the proper guidance and support. I know from experience that it is almost always possible to make things right and to get back into a long-term relationship with the one you love if you take the right approach. I have coached individuals all across the world and have been confronted with different types of situations. I am a relationship expert who truly takes the time necessary to invest myself fully in my clients lives in order to help them come up with solutions for their real life relationship issues. 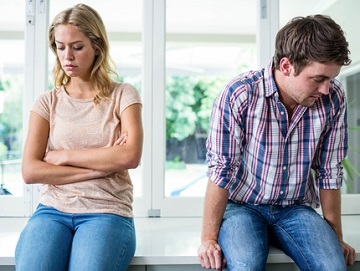 It’s important to realize that you are not the only one suffering; your wife is also having a really hard time coping with the looming separation or enacted divorce, no matter what she may be letting out. It is extremely important for you to take into account the fact that your partner is also in pain and there are at least two sides to every story. Throughout this article I will continue to provide you with some perspective and insights so that you are properly equipped to turn things around in no time! Many people who reach out to me are coming out of long term relationships and even marriages that have derailed. I have developed a considerable experience helping people figure out how to get over a breakup and make things right in long term relationships. No matter what, this guide was developed to provide you with answers to your questions, and to serve as a framework for what you will need to do moving forward to get back with the woman you love, so read on! The feeling of realizing that it may be over for good, or ushering the words my wife doesn’t love me can be truly damaging for a man’s ego and self-esteem. Just like most failures in life or when faced with adversity this realization of my wife left me can either make you fall into a negative spiral that often leads to depression; or it can be a huge wake up call and a catalyst of change. So after a divorce or a breakup people can therefore either realize their mistakes and choose to prove to their ex that they can indeed change by working on themselves to become better partners, better human beings or they can choose to drown in their sorrows and do nothing. Do you really want to make things right and save your relationship? Because it is in fact possible to make your wife fall back in love with you, no matter what may have happened in the past. Many people reached out to me asking how to make my ex want me back, only to be in a committed relationship with that same person within a month or two! It has been said that we are what we repeatedly do; and so your wife currently sees you based on your past actions. Change what you do and in turn change the way that she perceives you and make her fall back in love! So in order to figure out how to make my wife love me again , you have to understand what exactly did you do (or not do) to get to this point? Your wife did once love you; you were able to inspire her and in one way or another convince her that you could be happy together. So let’s make that happen again, shall we? Although it can be completely devastating to one day wake up to the realization that my wife doesn’t love me, it is pointless to mope or to feel sorry for yourself. If your goal is to make her fall for you again or even to one day get back together if you’re already separated; you will need to quickly get back on your feet; and it’s by being active that you will ultimately be in the best possible position to inspire her again and to once again be appealing in her eyes! If it can bring you some peace of mind, it is common for people to fall in and out of love with their significant other. You have affection for your partner and love them but sometimes people can get disillusioned by their relationship or simply frustrated by their current circumstances. Sometimes the frustration that your partner is experiencing is not even related to what is going on in the relationship. It can be linked to an overall sense of unhappiness with their life in general, their work or even a mid-life crisis. You just happen to be thrown into all of this mess, and she just can’t dissociate one thing from the other. This type of dynamic can be quite common especially in marriages. After a while people have a tendency to stop putting effort into their relationship or neglecting their significant other. This leads your significant other to stop envisioning a future where they can be fulfilled and happy with you and so they decide to walk away from the marriage or the relationship. Please understand that everyone has a tendency to see the glass half empty following a breakup or divorce. Your fears and insecurities take over and you imagine the worst possible outcome: never being with the person you love again. You keep thinking “I want my wife back ” but panic strikes and you feel almost paralyzed. haven’t tried everything possible to make things right. Moreover, you will quickly start to feel empowered because you will gain a newfound perspective on your relationship. Do you want answers? Do you want to know exactly how to win back your wife? Then look in the mirror and ask yourself the right questions first. You will need to know where things went wrong in order to not make the same mistakes moving forward and to have a clear plan to make things right. If you feel completely lost and don’t know where to start when your marriage is dying I would highly recommend that you read our eBook 70 Pro Tips To Get Back With Your Ex. It is the perfect tool to gain perspective and to feel empowered and confident that you can indeed turn it all around. This compilation of our best techniques and advice is the result of years and years of research helping people successfully get back with their significant others; it is downloadable immediately and it could change your life. Remember, if your wife says she doesn’t love you, what she is most probably really telling you is that she is disillusioned and cannot envision a future in which you can be happy together! Prove her otherwise and watch her fall back in love with you as a result. Initially, your sole focus should be on understanding where things went wrong, what caused her to be frustrated and disillusioned by your relationship; once you have identified your mistake you will be in prime position to prove to her over time and through targeted actions that you have evolved… and that you can indeed make your wife happy. Your mindset can be your biggest ally or worst enemy in the process of figuring out how to get your wife back. Like with most things in life, if you are convinced that you can achieve this goal, and if you have a clear plan with proper support along the way, you can absolutely get your wife back! But if you lack self-confidence and feel that you are not good enough, you can create a false reality and never position yourself for success. That’s why, when I speak to people during one on one coaching sessions, one of my initial goals is to ensure that I provide them with a full arsenal of everything that they have going for them; because it is so easy to be overly negative and to feel down about your present situation. Having a renewed sense of hope and believing in yourself isn’t enough however. 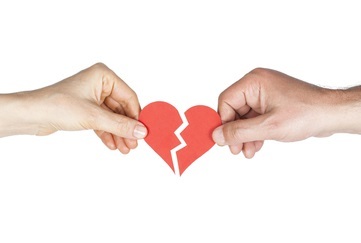 If you are hoping to get back with your partner permanently, you’ll need to figure out the real reasons behind the separation or divorce. Here again most people feel that they know what went wrong, but most of the time people aren’t objective and still way too caught up with their own perspective and desires. Don’t make that same mistake, put your ego aside and ensure that you dig deep to understand where you failed your wife and why you’ve now found yourself in a position of trying to learn how to get your ex wife back! You’ll need to prepare yourself for a marathon since you don’t know where the finish line will be. Don’t cut corners or try to rush through the process of getting back together otherwise you run the risk of hitting a wall along the way and having to start over at square one. It is essential that you come up with a game plan to ensure that your emotions won’t get the best of you along the way. Looking to get back with an ex can truly be an emotional rollercoaster, and if you don’t have a road map you run the risk of getting lost or deviating off course. That’s one of the many reasons why I always put a lot of emphasis on developing a well crafted game plan when I coach people one on one. I understand the value and the need of knowing where you are going and the importance of being able to see the next steps; mentally it truly helps to do the work when you clearly know what comes next. At this point, you should already start to have a renewed sense of hope! You can do this with our marriage advice! And you’ve already won her over before so the odds are that you can do it again if you transform back into the person that inspired her at the beginning of your relationship…while proving along the way that you’ve learned from your past mistakes and transgressions! along the way. No matter how big those mistakes were, it’s never too late to turn things around and to evolve as a person and as a partner. Your wife isn’t ready to forgive you, but it’s probably because you haven’t evolved yet. She still has that same image of the old you stuck in her mind, and our goal is going to be to change that image by following a carefully crafted game plan that I will begin to highlight for you in a moment! The funny thing is that figuring out how to woo your wife back is often a question of mindset. As soon as I prove to these people that it is in fact possible once they have regained a sense of hope and see the light at the end of the tunnel; those same people are often some of the most successful in winning back the heart of their significant other! I remember once coaching a very successful man who had been married for less than 2 years. He had completely neglected his wife and she was absolutely convinced that she never ever wanted to get back with him! She moved out, gave back her wedding ring and was cold and distant every time he tried to reach out to her to express how sorry he was and how much he loved her. The breakup had indeed been a big wake up call for him and he quickly realized that he had been way too selfish and that he was controlling her with money. Without even realizing it he constantly made her unappreciated, and he was living a life in pursuit of his dreams and not theirs. But despite his apology and promises his wife was simply too hurt and the damage had been done. So he reached out to me and we started working together; we later came to find out that she had met someone else and she was not being shy in telling her ex that she was in love and happy with her new boyfriend that she actually met towards the end of their relationship! She fell in love with someone else because she had been completely neglected. But this gentleman who reached out to me was very resilient, and we worked together for a few months and he eventually managed to win back his wife. Through carefully crafted actions that we set up together, consistency, and by being able to master his emotions, he proved to her that he was indeed capable of evolving! She quickly left her rebound relationship and moved back with her husband and they have been happy together ever since. This could happen to you too, if you are ready to do what it takes and not cut corners in your endeavor to prove to your ex fiancé or wife that you are the right man for her! Again it’s truly never too late to make things right if you are prepared to take full accountability for your past transgressions. By this point you are seriously looking into ways to save your relationship and you are constantly asking how to get my wife back; so it probably means that you are truly ready to do what it takes, but you’ll need to maintain this momentum along the way. The process of getting back with your wife will require you to truly forgive yourself. If you don’t, how can you expect her to forgive you? This may not seem like that big of a deal to some of you, but for others it can be a real challenge. Perhaps you cheated, or broke your wife’s trust for instance; or even worse if you abused your former partner emotionally or physically – and by the way I have a personal policy of not helping people who have made those types of mistakes unless they are truly and sincerely apologetic about what they did. So if you find yourself in a similar situation you need to do even more self-reflection and ensure that you truly evolve to overcome your shortcomings. Your ex will be even more skeptical about your ability to change so be prepared to put in the work for as long as it takes. Don’t make the mistake of trying to win her back too quickly or to make everything right in a single rendezvous. I understand your eagerness to be together again but if you try to move too quickly the odds are that you’ll keep digging even deeper and deeper because your change won’t be credible to her. All that you will end up doing is triggering her defense mechanisms and her barriers will come right back up; you won’t recognize the person standing in front of you and she will remind you that you have absolutely no chance of getting back together – ever! So instead of trying to rush things, focus on taking baby steps. Your key to proving that you have changed and that you can make your wife happy will be doing positive actions repeated consistently over time. That is the surest way to permanently change the image that she has of you, and to ultimately create a new and improved relationship with your significant other! So don’t ever try to force the issue; forgiveness will need to happen based on her timetable. If you are sincere about your willingness to make things right – you’ll be patient. Everything worth fighting for takes time and effort. If your relationship unraveled over years, it is simply not realistic to think that you can turn it all around in just a few days and that’s why you need marriage help. Will my wife ever love me again if she doesn’t want to talk to me anymore? So if you and your wife are on bad terms or even worse if she simply refuses to speak to you all together, don’t panic! During a breakup or a separation people always get caught up in the present moment and are usually always extremely negative. You have to force yourself to not be a prisoner of the moment and to gain some perspective to recognize that just because she may not want to speak with you now doesn’t mean that she won’t be open to communicating with you a few weeks down the road. The biggest mistake that many people make is that they try to convince their wife or husband to get back with them immediately after a breakup or separation. If your wife has told you that she doesn’t love you anymore you probably tried to make her feelings come back right away, all at once! But you are not prepared to change her mind in this way; even worse is that you are probably acting without a plan or sense of direction. In other words you are acting based on your impulse and driven by your emotions. So you may have begged, pleaded or even cried while trying to convince her to get back with you. Unfortunately all that does is make you lose credibility and be even less appealing in her eyes! So if your wife doesn’t want to speak with you don’t panic! Take some distance or even implement a radio silence (also known as the no contact rule), in order to provide both of you with some perspective on what’s really going on. This will enable you to prepare your next actions or approach but also help you be more appealing in her eyes. If you are able to work on yourself and go through a process of personal development while evolving in regards to some of the personality traits that your wife grew fed up with; she will be genuinely happy to hear from you again a few weeks down the road! How to get my wife back if we’ve already divorced? A divorce can have dramatic psychological effects on a person’s mental well-being. What was once done is formally undone and for many this process is especially painful because they are forced to fight tooth and nail about everything they once shared, with someone they loved. Arguing over money, pets and even children can be very traumatic and often people are left scarred. But you need to understand that divorce is not an end in itself, because you still have an opportunity to make things right and to rewrite the ending to your love story. If you are already separated and asking yourself how to make my wife love me again if you have already signed the divorce papers; understand that you can still turn everything around! Even years after a divorce you can make your wife love you again if you prove to her that you have changed and that you are once again the man that she always dreamed of being with! My Ex Is Hot And Cold With Me And I Don’t Know What To Do! I’ve seen it achieved countless times before, sometimes it takes a breakup or true separation to realize some of the mistakes that we have been making and to enter into a new dynamic. You most likely won’t be able to inspire your wife or make her fall back in love by trying to get back together; rather try to get into a new relationship with her, independent from the last one! Learn from your mistake and approach the seduction process as if it were the first time. If you feel the desire or need to be coached throughout this process in order to get the necessary support you need to meet your goal of getting back together, then reach out to us! We will provide you with a game plan, specific actions to implement and support every step of the way! If you simply want to ask one question to a relationship expert, feel free to leave it in the comments section below; I will be sure to get back to you! If you have gone through a divorce but are still hoping to make things work with your soul mate, then this section of my article is for you! We’ve helped thousands of people achieve this. We’re excited to help you, too! Divorce doesn’t have to be the end of the road. I’ve helped so many people win back their wives or husband after a divorce was consumed. As a matter of fact, relationships can tend to improve after a divorce because the ex wife or husband feels less threatened. Once your ex partner officially has their independence back, they tend to be more approachable and generally won’t be so conflictive or defensive. You may also start to believe that you have no other way to go but up and you won’t feel like you have something looming over your head. You can therefore be less up tight and quickly evolve back into a happier and more secure person! I understand how tricky it can be to be forced into a divorce that you don’t want because I have helped men and women from all over the world who were in similar circumstances. No matter what, in order to be successful in getting your ex wife back, you cannot see the divorce as an end in itself. Remember that your mindset is so critical and if you feel completely defeated, odds are that you won’t be able to turn it all around. I’m not saying this to give you hope, it really is true based on my experience in the field: Sometimes a relationship needs to fail or end in order for another one to flourish (even with the same person) ! I am not into the business of selling quick fixes to the people who place their faith in me or those that reach out to me for a coaching session. I pride myself in always telling people the truth, at least the way that I see it. And so I will stay true to myself here as well; if you are already divorced and hoping to get back with your ex wife, you’ll have to approach this as a long term process. Don’t focus on the end goal otherwise you could start to feel overwhelmed. The key is to find joy in the actual journey of personal transformation and to embrace the process. Please realize that years of bad habits and trauma take a certain time to overcome. But it is possible, and it could happen to you too if you are ready to do the work and if you are patient. This process will be a lot more enjoyable and go a lot faster if you truly decide to embrace the journey. Ultimately you will start to regain some self esteem and start to believe more and more in your ability to prove to your ex that you can make her happy. That’s when you’ll be in a prime position to reconnect with her. I recommend that you reach out in a non threatening way and centered around your shared values or the success of your children if you have any together. You’ll need to continue to stay positive every time you interact with her and ensure that you avoid drama at all cost! isn’t something that should overwhelm you if you’re confident in what you bring to the table and if know in your heart that this woman is the one that you want to be with long term. Rebound type relationships happen all the time, especially for people coming out of long term committed relationships. Those people, including your ex wife, have to go through an adjustment period and are often time not truly ready to commit. I always say that it’s very complicated to jump from one moving train to the next, and if you know what you’re doing – you can ensure that you take advantage of this dynamic. Winning your wife back by controling your emotions and the urge to judge your ex’s new relationship! The tendency is always to compare yourself to the new boyfriend or partner. Our insecurities can quickly take over and lead down a dark path. I want to put you in the best possible position to break away from this negative spiral so that you can win back your soul mate; so please follow my advice! The first rule of thumb is to make sure that your don’t bring up the new relationship up ever when talking to your ex. By doing so you will only validate what they have going on, and probably appear bitter and resentful. Don’t give your ex that impression, and don’t make that mistake. You too should put yourself back on the market quickly and try to meet someone new. This shouldn’t be done to spite your ex wife; it should only be done to mitigate the balance of power and be less of a threat to their new relationship. I am not telling you to play with other people’s emotions; only encouraging you to put yourself back out there and that you stretch your comfort zone and meet new people. Feeling like you can still seduce can go a long way towards restoring some self confidence in order to then be even more attractive once again to your ex. Once you are able to start talking with your ex wife, ensure that you leverage your shared history to make her laugh and prove that you are even more compatible. Your ex wife probably still loves you despite everything that has transpired. It’s most likely not a question of love and emotions and more one geared towards trust and happiness. So through carefully targeted actions continue to prove to her that you are the one that is best suited to make her happy in the long run. Slowly but surely you will start to become a threat to their new relationship and all you’ll have to do is sit back and let things play out! If you’ve followed my advice and don’t try to go too fast, reverse psychology will start to kick in and she’ll be the one making the first move when the time is right. Wife left but believe in your ability to win her back because you are in control of your emotional destiny! I wanted to share the story of a man called David who reached out to me after his wife had left him for someone else. Not only had she met another man, but he had really handled the separation very poorly. He even asked for his wedding ring back, and took back a bunch of gifts that he had bought her over the years. reached out to me by booking a one on one coaching session over the phone. We worked together for five and half months and he was able to win back his wife after going through a deep process of personal transformation. Together we were able to put a carefully crafted game plan in place and ultimately prove to her that he had changed and that they could be happy together forever. They are now together and happy! This could be you, if you are in the right mindset and if you are prepared to put in the work. Whether you’re thinking My wife does not love me, or how to get my ex wife back, we are here to help and as long as you’re willing to make the effort, the odds of success are in your favor! I believe in you and you can count on me for support through my blog articles and my YouTube videos. Again, you can also reach out to me and book a coaching session if you feel that you need additional support or to simply maximize your chances of being with the woman you love once again! I sincerely wish you all the very best in your quest to get your wife back and find permanent happiness in love.